Sometimes I get bored, and I like to wander around the craft store to get inspiration. Yeah, I know how to have a good time! 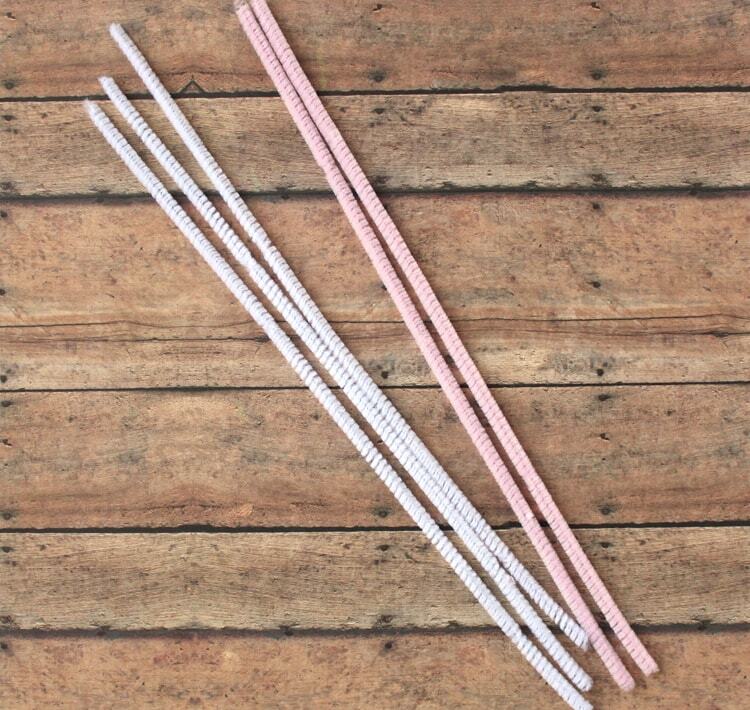 I came across a pack of pastel pipe cleaners that was obviously meant for a kids Easter craft, so I brought it home. Leah and I were playing around with them, and I made these cute little Easter bunny ears for her to wear. She’s been enjoying hopping around like a bunny ever since! 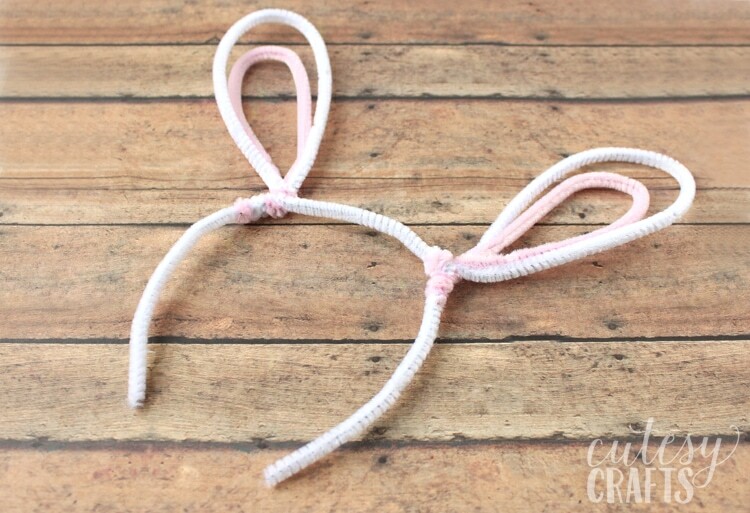 All you need to make this fun kids Easter craft are three white pipe cleaners and two pink ones! Guess I didn’t really need to buy a whole pack, but the kids love to make things out of them. Older kids can make this craft on their own, but little ones might need some help from a grown up. 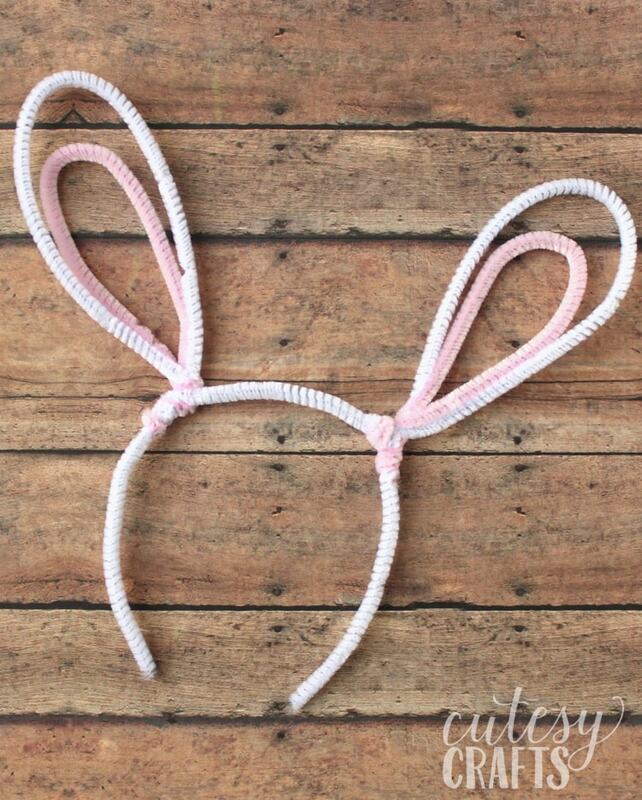 First, take one of your white pipe cleaners and bend it into a bunny ear shape like below. Now take a pink one and do the same thing. 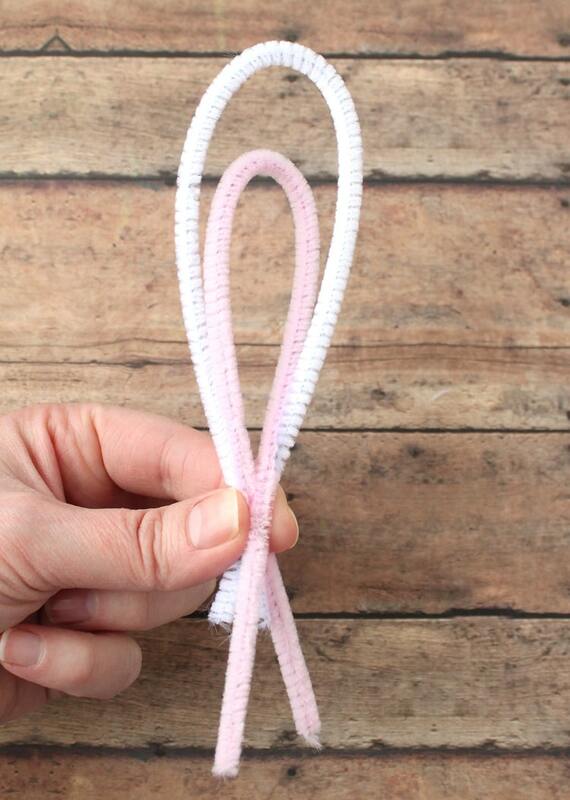 Put the pink pipe cleaner on top of the white, but move it down and inch or so to make it a little smaller. This will be the inside of your ear. 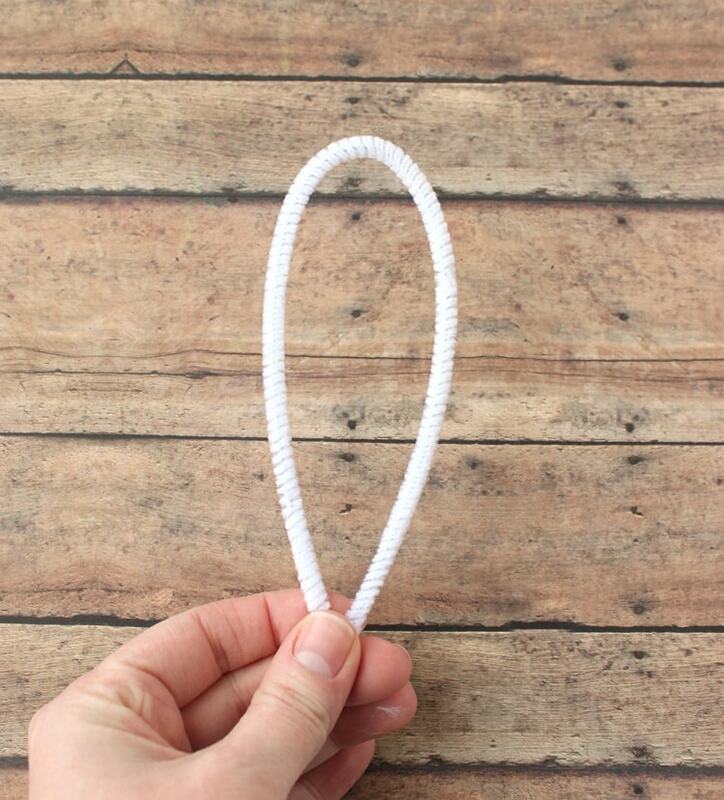 Twist the ends of the pipe cleaners together at the bottom. Repeat the process to make a second little bunny ear. 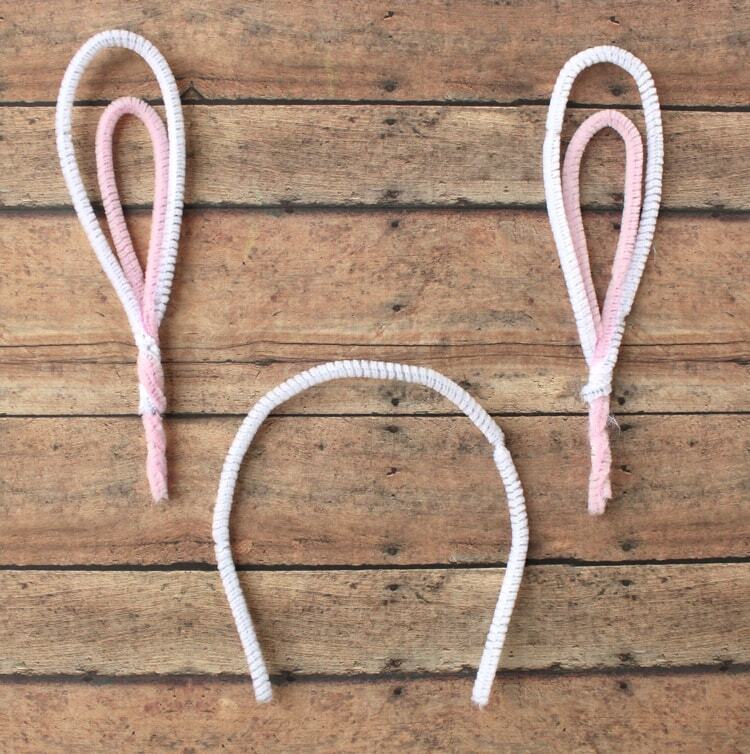 Twist the bottom of each ear onto the arched pipe cleaner to attach them. And there you go! 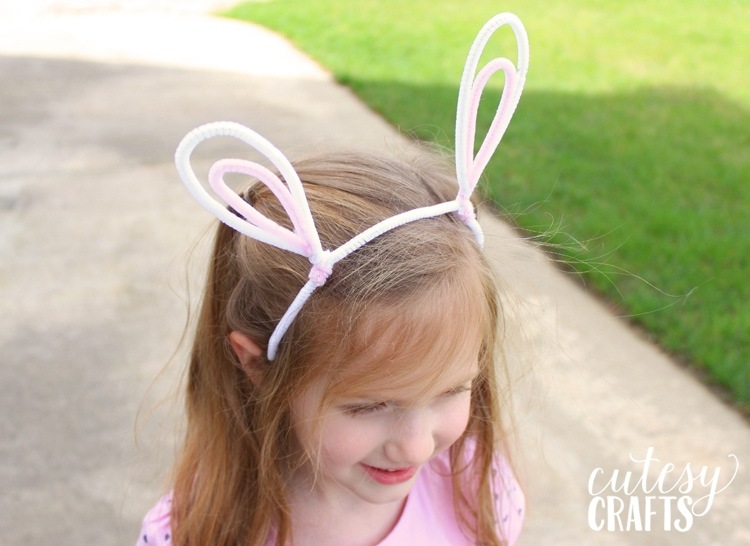 A fun and simple kids Easter craft! Leah is already having a lot of fun with these. 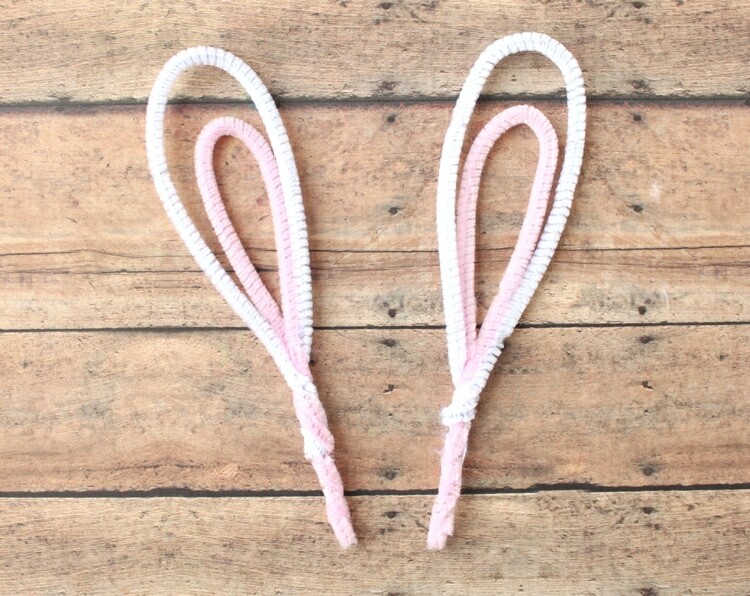 Hope your little bunnies love them too! Be sure to check out my other Easter crafts and kids crafts pages.